Fox Hollow Studio: Where are you??? Yes, I know... you have been wondering, where is she??? No post? 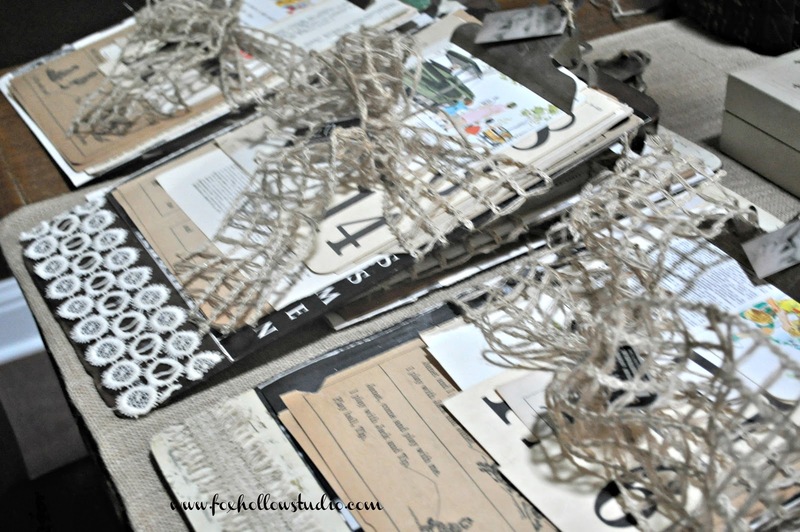 I've spent the last couple weeks preparing for my art gathering "Handmade U" in Omaha, Nebraska. 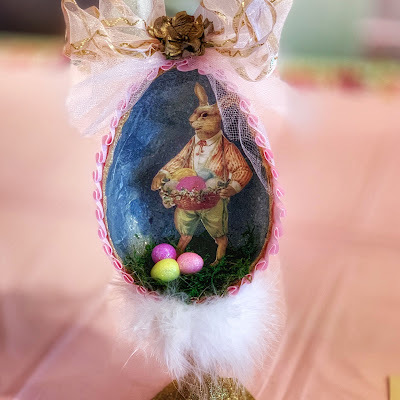 I participated in 4 swaps...that is one of favorite things when attending these events. And for those of you that have no idea what this is, I'll try and give a little more information on how it works. 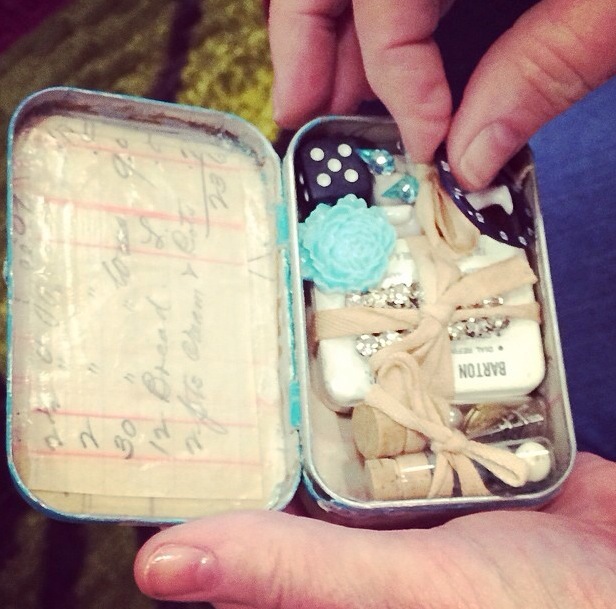 In this swap you are paired with a partner and create an altered altoid tin to be lovingly filled with little treasures from beads to medal to pins to charms, especially for that person. 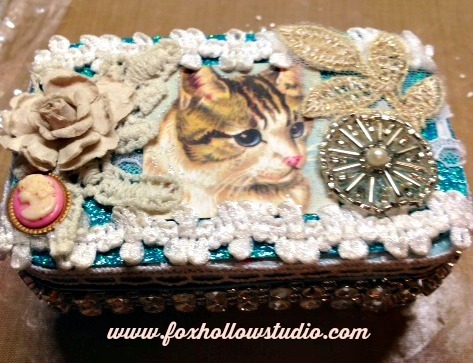 The partner that I made for has 5 cats....so I thought I would make a cat theme for her tin. 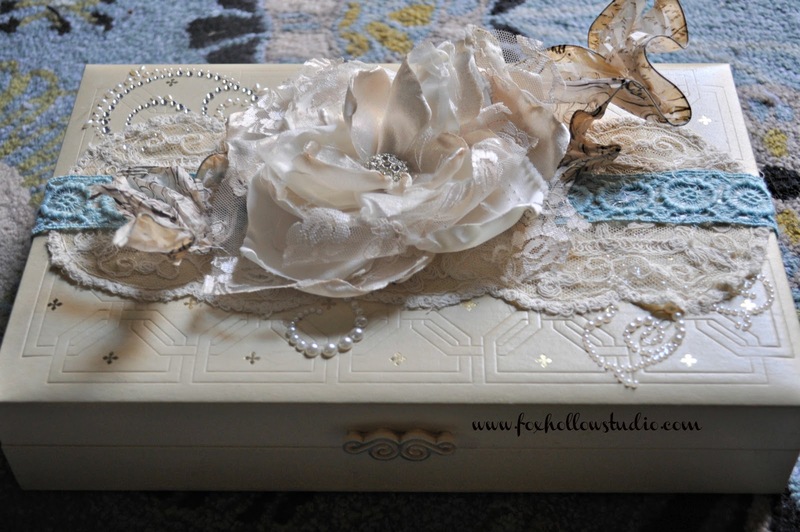 So beautiful...loved all the vintage items she included and incorporated into the top of the tin. 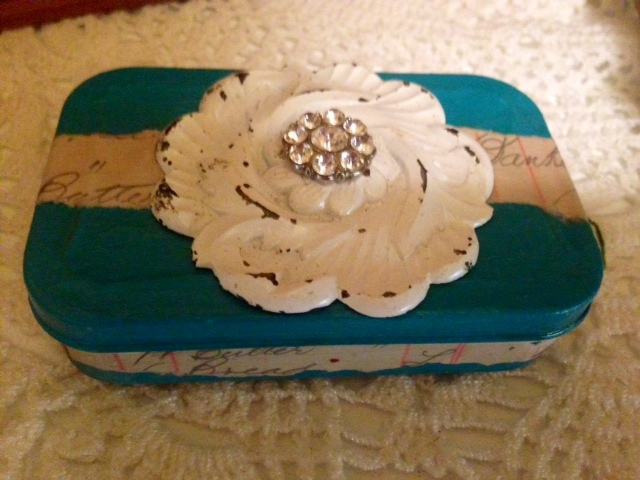 I really enjoyed making this and think I will make more for gifts. They are small and fun to assemble. For this swap you gathered your best school themed vintage papers and ephemera to share with 8 other participants. This included school book pages, dictionary pages, children's book pages, report cards, graded homework, flashcards, library cards, lunch tickets, etc. Then, you were to bundle them together. Since we had closed my Dad's business, there were several old clip boards. He used these in the business. I had wondered what to do with all of them. I couldn't just throw them away. So I incorporated them into holding my papers that I assembled for each person in the swap. In this swap we exchanged 4x4 to 6x6 squares of our favorite fabrics with each other so we all have some variety to choose form in our projects! 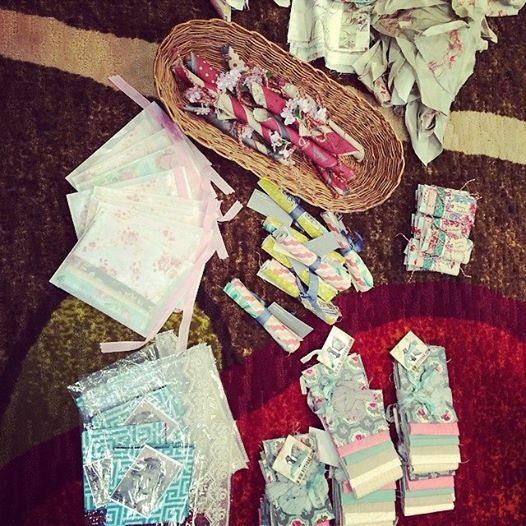 We chose 4 fabrics that we loved and cut squares for all the participants. You could use vintage or new fabric. Here is a pic of all the different ones. In this swap, you chose a color theme you'd like to receive. 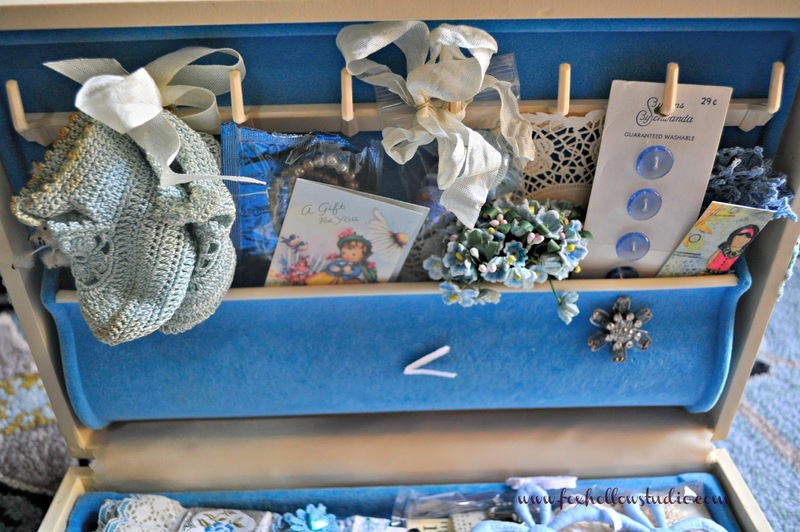 Then you were matched up with a partner and using her chosen color you found a sweet vintage jewelry box, covered basket, fun old tin, etc to stuff full of goodness in her color theme. This swap was pretty amazing. It was obvious, there was alot of time put into these. 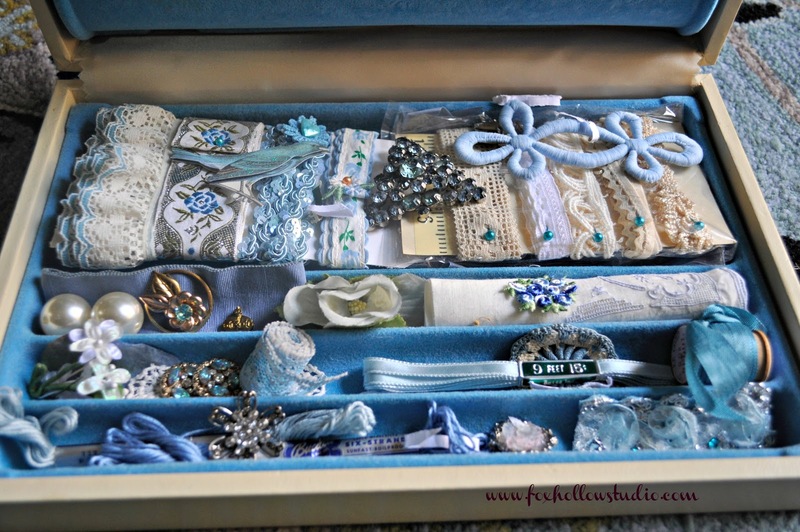 My partner gave me a sack full of vintage papers, buttons, fabric and collectibles in cream and turquoise, and a beautiful vintage sewing box. 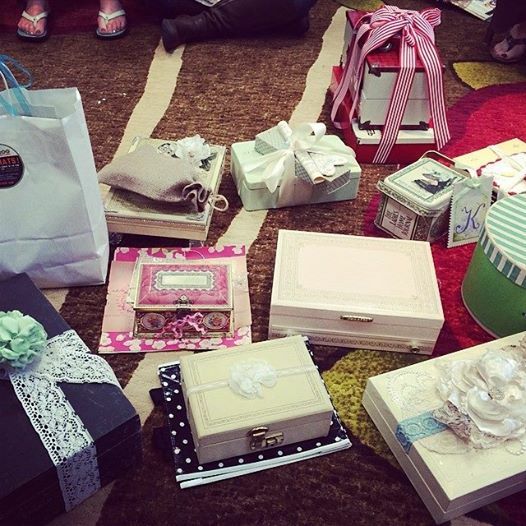 Love what you did for your swaps, especially the jewelry box and the clipboards! You're so talented!